President Vladimir Putin signed laws punishing online media and individuals for spreading "fake news" or material that's considered insulting to Russian officials. Prosecutors can now complain about online publications to the state communications watchdog, which has powers to block access to the websites if their owners fail to remove the material promptly. Publications found guilty of spreading "unreliable socially significant information" may face fines of as much as 1.5 million rubles ($23,000). Individuals also face fines and up to 15 days in jail if they publish material online that expresses "clear disrespect for society, the state, the official state symbols of the Russian Federation, the Constitution of the Russian Federation and bodies exercising state power." 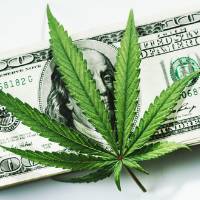 A big shift is coming to the cannabis market &ndash; and investors who position themselves properly over the next few months could see windfall profits. Click here for the full story.